For Alexandra-Marie Figueroa Miranda, International Women’s Day is not just about celebrating women’s accomplishments. It’s about speaking out against what she sees as a series of women’s rights setbacks that have taken place in Puerto Rico over the last year. “We’re angry and we’re actively fighting back against a government that continues to pass measures that put our well-being at risk,” Figueroa Miranda, a campaign and activism coordinator at Amnesty International in Puerto Rico, told NBC News. Figueroa Miranda is one of hundreds of women in Puerto Rico marching on Friday at the annual “Paro de Mujeres” demonstration, also known as 8M, marking the date, March 8. Their fight to defend their rights to access effective health services, increase public safety and eradicate gender-based violence — among other demands — has gained a new sense of urgency as a growing level of domestic violence has plagued the island and the Puerto Rico Senate just passed legislation limiting access to abortions for women under 18. On Thursday, Puerto Rican lawmakers voted to pass bill PS950. It requires that women under 18 obtain their parents’ consent to get an abortion. If they don’t receive parental consent, “the minor can go to court if she insists on having an abortion to present their claims to getting an abortion,” the legislation reads. A previous version of the bill authored by Sen. Nayda Venegas Brown, a pro-statehood lawmaker and evangelical minister, required women younger than 21 to have parental consent in order to terminate a pregnancy. A report from the American Civil Liberties Union shows that a high percentage of domestic violence incidents reported to the Puerto Rico Police Department do not result in convictions. Roughly 20,000 protective orders are issued annually and a comparable number of domestic violence incidents are reported to the police, but fewer than 500 convictions for domestic violence are made annually. From 2007 to 2011, 107 women were killed by their intimate partners, according to the ACLU. In 2011 specifically, 30 women were killed by an intimate partner — a number that’s six times higher than Los Angeles, which has about the same population of 3.7 million. Puerto Rico’s domestic violence pattern worsened over the last year as 51 women were murdered, at least 23 of them by their intimate partners. “As long as the government continues to ignore our demands, our sense of urgency is just going to keep growing because we keep being ignored. We’re in a precarious situation,” the Grammy-winning singer and march attendee Ileana Cabra Joglar, known artistically as iLe, told NBC News in Spanish. Significant delays in the adjudication of protection orders, poor enforcement of such orders, inadequate staff to deal with domestic violence cases and inefficient evidence collection processes during investigations are some of the deficiencies the ACLU identified in how Puerto Rico deals with the issue. These have been prevalent since at least 2006. 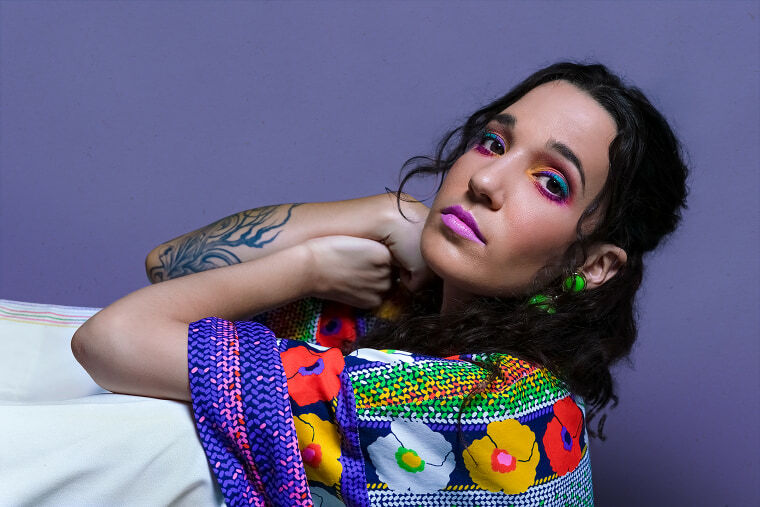 While she has previously attended Puerto Rico’s “Paro de Mujeres” demonstration, and this year is no different, the singer is also using her music to shine a light on the issue. This week, iLe released a new music video for her latest single “Temes,” which she wrote after she saw in the news that a woman had been fatally stabbed by her ex-boyfriend near a movie theater in Puerto Rico. In the video, she calls out misogynistic behaviors and labels them as an expression of weakness and fear. 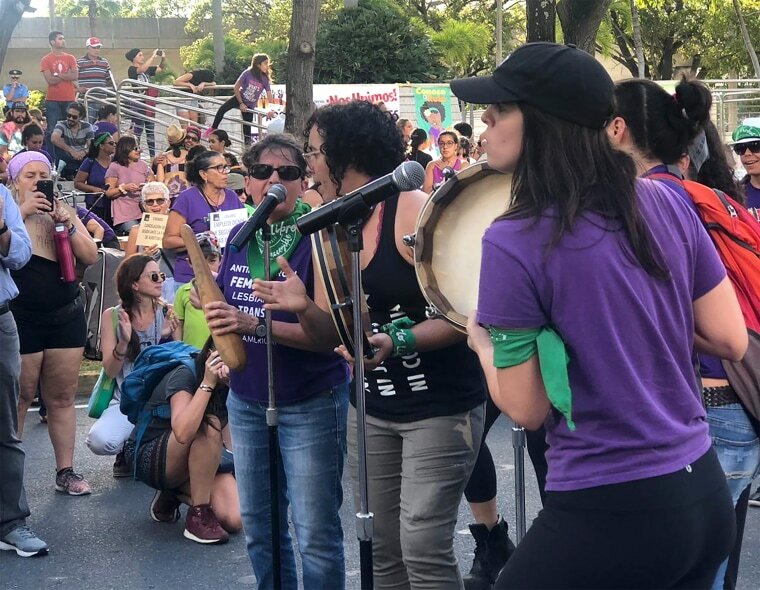 While the same feeling of anger that Figueroa Miranda and iLe described has motivated them and hundreds of other women to march on International Women’s Day, not all women affected by these issues show up to rallies to demand change. But as iLe said, practicing some empathy could help motivate more people to rally up. “Sometimes when things hit us closely, and although it is a difficult exercise, we must put ourselves in the place of the other. And sometimes when we put it in that context, we go out to the streets,” she said.